Is it possible that an individual's mineral balance can affect our attitudes? Really? 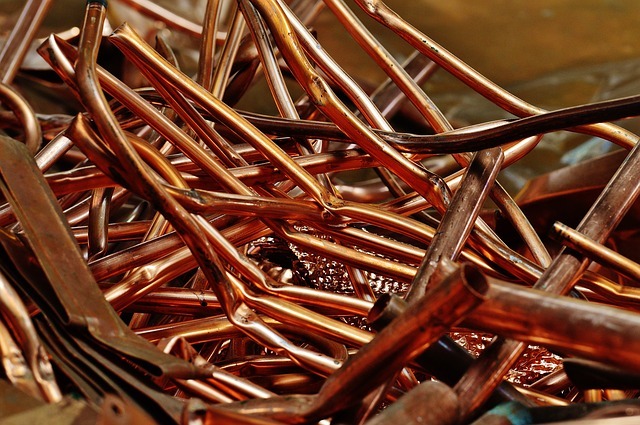 Copper is called the "love" and "intuitive" and "feminine" mineral. It is super important for the female reproductive system, with its level paralleling that of estrogen. Among other factors, the rise in tissue copper levels in men and women in the last 50 years matches the renewed interest in women's issues, in religious and intuitive knowledge, and other "new age" ideas. Zinc is found mainly in meats. Because of this, vegetarian diets are higher in copper and lower in zinc. Those on vegetarian diets accumulate too much copper which shortens their life span, even if they feel well all of their lives. And, if someone has a copper build-up in their system for other reasons, they may become an obligatory vegetarian. The excess copper interferes with digestive enzyme formation and impairs thyroid and liver function. All of this leads to the inability to digest meat. If the copper is reduced in the body, the taste of meat often returns. Other reasons for a vegetarian diet also include one's philosophy about eating animals and repulsion of how animals are raised and processed. No matter the reason, there is a buildup of copper. Symptoms of high copper from vegetarian diet include fatigue, spaciness, and craving carbohydrates. The "spiritual" feeling is, in fact, copper poisoning. Adrenal burnout, with the characteristic symptom of chronic fatigue, is often related to copper imbalance. Improving the copper imbalance, supporting the adrenals and releasing fearful thoughts can restore one to optimum health. High-copper diet such as nuts, beans, seeds and grains (consumed particularly on a vegetarian diet). Chocolate is high in copper, which may explain chocolate cravings. As the copper is mobilized to leave the body, it enters the bloodstream. 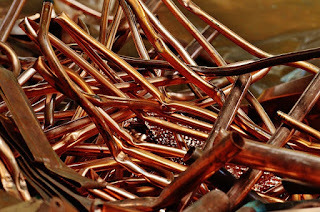 While here, copper can cause headaches, skin rashes/acne, racing thoughts, strange odors, digestion issues, mood swings, and energy fluctuations. In men, testicular pain is possible, and in women, menses is affected. So, copper is a nasty villain when out of balance in our body. Awareness of symptoms and sources will be a great asset in your journey of detoxification.